Mitsu Tamura (Kyoka Suzuki) is the mother of 7 sons. Her sons are sent to the battlefield and 6 of her sons die on the battlefield. To mend her broken heart, she talks to 7 paulownia trees which she planted whenever one of her sons left for the battlefield. Based on novel "Okaasan no Ki" by Essei Okawa (published 1969 by POPLAR PUBLISHING CO., LTD.). Filming began January 22, 2015 and finishes early March, 2015. Filming takes place around Ibaraki, Shizuoka and Nagano, Japan. Frank Bacheller Jan 19 2017 8:10 am I watched this on a Delta flight returning to the USA from Beijing. Great movie which I would like to rent or buy. Haven't been able to find it anywhere. Any suggestions? Kerstin Soukoreff Jan 06 2016 11:32 pm I watched this moving movie on a Air Canada flight back from Beijing, loved it and would like to know if it is available to watch or purchase somewhere? Wally Nov 27 2015 12:06 pm I was teary-eyed, almost unable to control my tears, while watching this movie on my flight from Singapore to Taipei on an EVA plane. I can related to this movie because of my mom (who is orphaned in WW2) and my late maternal grandma (who had to give away all her daughters as a desperately poor widow in WW2 in Malaysia). 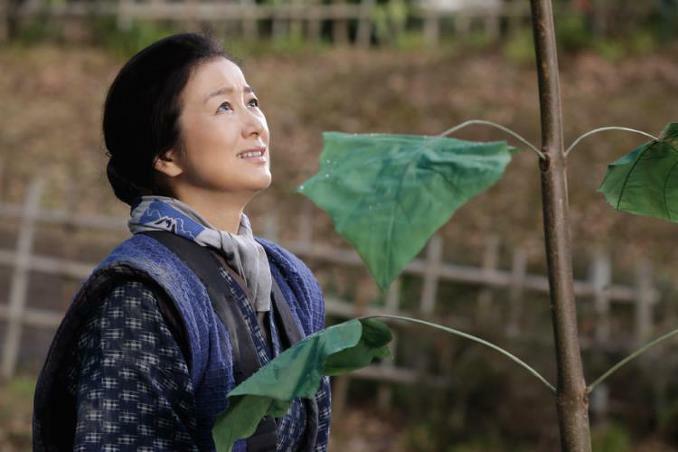 The superb and emotional performance by Kyoka Suzuki as defenceless yet tough Mitsu is heart-rendering. Marla Nov 17 2015 6:26 pm I watched this on my delta flight yesterday with English subtitles. Very moving movie, would watch again.